While the general trend has been downwards this has masked big national and regional variations. While highlighting the dramatic differences between areas, the figures hide a flattening out of the overall downward trend with the most dramatic casualty reduction in this period seen in 2010. While car occupant safety has improved markedly, the situation amongst vulnerable road users (pedestrians, cyclists, motorcyclists) has been less good. Although deaths in this group have declined they are now a larger proportion of all road deaths, rising from 46% in 2005-9 to 49% in 2013. 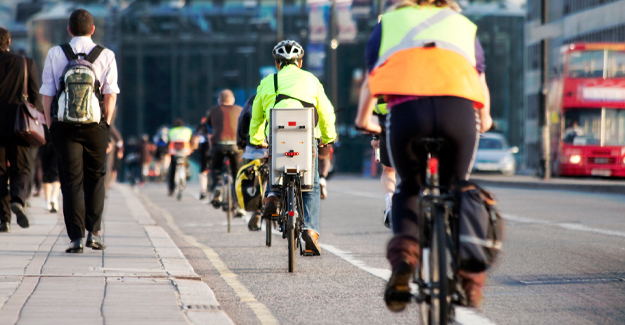 The absolute number of cyclists seriously injured has risen. The figures are revealed in an interim report Road Safety Since 2010 published by the RAC Foundation and PACTS, and compiled by PACTS and Road Safety Analysis. The final report will be published in the summer after the 2014 casualty data has been released. Researchers based their work on official casualty data, as well as surveys and interviews with stakeholders including 34 English local authorities. Northern Ireland: Road safety is a fully devolved matter. The Road Safety Strategy to 2020 contains 222 actions and aims for NI’s roads to “be as safe for all road users as anywhere in the world”. “The UK risks breaking apart in terms of road safety policy with different administrations having varying levels of power, funding and political will to deal with death and injury on the highways. “Overall, many fewer people were killed and injured on the roads at the end of the last Westminster parliament than at the beginning. But given the flattening out of casualty figures, a probable increase in casualties in 2014 and a predicted increase in road traffic, it is important that national, regional and local governments review these trends, and share best practice to learn what is, and what isn’t, working around. “Tens of millions of road users have a right to know that that their safety is regarded equally wherever in the UK they travel. They would also expect similar rules to apply whichever side of a border they are on. “The last Westminster government was hemmed in by economic constraints which extended to road safety. It also decided against setting national road safety targets arguing they were bureaucratic and ignored local priorities. However many of the professionals interviewed for this report say the lack of targets has pushed road safety down the priority list. “We would like to see more cross-departmental interest in road safety. At Westminster road safety has traditionally been a matter for the Department for Transport but other departments have crucial roles including the Home Office for roads policing and type-approval of breathalysers.